The Joint Venture represents a judicial-economic mechanism intended to facilitate certain activities and operations which none of the associates, taken separately, would have the necessary weight and means to properly accomplish. From a legal perspective, in the majority of cases, this construction is highly streamlined and efficient with respect to both the liability towards creditors and the setoff among the associates. There is, however, a circumstance where this type of association poses a difficult challenge. From a both legal and economic perspective, the insolvency of the leader, which is the relevant issue here, can create a domino effect that might end up blocking certain major projects that, even in these difficult circumstances, would have sufficient resources that would allow them to be adequately completed. Insolvency is an event that has multiple and unpredictable consequences, which is why we will not attempt to cover all the potential complications that would arise from this disruption in the functioning of such type of association. However, starting from this general premise, we will attempt to analyze a specific scenario, namely the extent to which, after insolvency proceedings are opened with respect to the leader, the bank with which the joint venture opened its account is entitled (if at all) to freeze/block the available funds in the account associated with the beneficiary of the operation for which the joint venture was created. From an accounting perspective, the joint venture leader will manage the joint venture’s accounting separately from its own accounting. With respect to the tangible or intangible goods that the joint venture (through its members) has acquired or will acquire from the operation that was carried out, since the joint venture is not incorporated, they are registered in the name and accounting records of the leader. Between the members of the joint venture, the functioning rules are regulated through the joint venture agreement. If one of the associates does not respect the obligations undertaken, the others can always exercise their rights through the avenues available under common law. Coming back to our scenario, it can be noted that the amount of money deposited in the joint venture’s account when the insolvency procedure is commenced against the leader corresponds to this last category of goods. This category also clearly includes the amounts owed to the joint venture and that would be paid into its account after the commencement of the proceeding. On the one hand, we have the creditors who contract with the leader of the joint venture or with any of its associates, when they act explicitly in the name of the joint venture. Depending on the solvency of the associates, these creditors may choose to go after any other members of the joint venture. With respect to this category of creditors, the provisions of Art. 1953 para. 4 of the Civil Code, according to which “any clause in the joint venture that limits the associates’ liability towards third parties does not serve as constructive notice towards them”, apply. More specifically, with respect to these creditors, the law excludes any exception from the principle of joint liability for the associates. On the other hand, the associates’ personal creditors (which, in this case, of interest are only the leader’s personal creditors) are the creditors whose right arose either from legal acts and actions unrelated to the joint venture and the operations undertaken by the latter, or from legal acts and actions related to the object of the joint venture, without the contracted associate having acted in the name of the joint venture. We believe that these categories of creditors should not be included among the third parties covered by Art. 1953 paragraph 4 of the Civil Code. With respect to these categories, the joint venture agreement is a legal certainty whose existence and effects cannot be ignored. 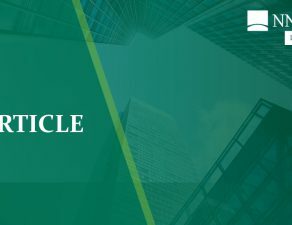 Our main reason in support of this interpretation would be that this category of creditors should not benefit from the favorable governing the liability of the joint venture as long as their debt claim does not arise from a legal relation connected to the fulfillment of the object of the joint venture. More specifically, in case of insolvency, this category of creditors (of the leader associate) cannot have more rights than those that it would have had outside this special procedure. This interpretation could be criticized by the argument that in a collective and unitary procedure one property cannot be subject to two different legal regimes: as a property of the leader associate subject to insolvency towards the joint venture creditors and, at the same time, as a property not included among the assets that are subject to the procedure, by reference to the personal creditors of the joint venture leader. This potential objection clearly deserves a separate and more elaborate discussion. However, in this article we will limit ourselves to specifying that these alleged inconveniences are not actually more than those specific to the situation involved, for instance, a finding of simulation with respect to a specific legal operation. The public document may not be used against the party who requested and obtained the confirmation of the simulation and at the same time may be fully used against third parties. 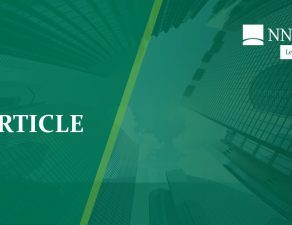 Getting back to the gist of this article, most times, the fact that the bank freezes the sums available in the joint venture’s account (opened in the leader’s name) at the beginning of the insolvency proceeding, has dramatic consequences on the real chance of the joint venture itself or, as the case may be, the bankrupt leader’s associate/associates, to surmount the financial distress and actually continue the operation/contract for which the joint venture was created. In practice, such decision rests on the argument that the properties (broadly speaking) that resulted from the operation for which the joint venture was established, are, as we have already specified, registered in the name of the leader and reflected in his own bookkeeping, thus creating an apparent ownership right in its favor. Based on this apparent ownership right, the banking companies (where the joint venture account is opened in the name of the leader), as well as some judicial administrators consider that the joint venture’s properties are the properties of the bankrupt leader, which would mean that they can be sold under the terms specific to the insolvency procedure, based solely on the provisions of Art. 1953 paragraph 4 of the Civil Code. In this context, which is always highly dramatic, there is the fear that any release of monies towards the other associates pursuant to the provisions of the consortium agreement would expose them towards the other creditors, which could sue them (and the joint venture) for compensation for breaching the insolvency rules. Without ignoring the reason why the lawmaker chose the legislative solution stated in Art. 1953 paragraph 4 of the Civil Code, at least in the circumstance analyzed here, the fair application of this legal provision requires, in our view, to necessarily clarify in advance the precise meaning of the term “third parties” who should be the actual beneficiaries of the legal protection. We tend to believe that the purpose of this rule was to protect the joint venture creditors, namely the persons who undertake the risk to contract with a vehicle that lacks legal personality and personal patrimony and who potentially do not have the possibility of knowing the legal relationship between the associates. As to the wording of the quoted legal text, we find it natural that “third parties” means only the joint venture creditors. In the scenario that we analyze here, more specifically the current account contract, the bank is not a creditor of the joint venture. It is mainly a depository of a fungible property, therefore a debtor of the joint venture. Thus, if Art. 1953 refers to the operation mechanism for legal liability, such regulation can only be construed restrictively. From this perspective, we believe that the bank should release to the solvable associates their share from the account balance, particularly when it is fully aware of the consortium agreement and therefore of their risk and benefit quotas. The leader’s insolvency cannot and should not be a cause for termination/prevention de facto of the operation of the joint venture, particularly since the monies in the joint venture account (that would be due to the other associates) would be at least partially sufficient to ensure the funds for the activities and operation that are the object of the joint venture. Blocking these amounts is equal in most cases to blocking the joint venture itself, especially since the insolvency of the joint venture leader can be due to causes wholly unrelated to the joint venture’s operations/activity. The same line of reasoning could be applied to the relation between the beneficiary, the bank and the associates after the initiation of the insolvency procedure for the monies due to the joint venture following the performance of such action/operation. For the payment of the price, the beneficiary is a debtor of the joint venture, not a creditor. In this case, the solution is indeed simpler because the previous reason, which remains fully valid, is supplemented by another one. After the insolvency proceeding is initiated against the leader associate, the payments correspond to the current activity; which is they should be operated pursuant to the same mechanisms established before the insolvency. As we stated above, depending on the number of creditors and nature of the debt claims, this issue can be extremely controversial. However, if we were to strictly accept the solution of most banking companies/judicial administrators, we would find it to be extremely counter-productive, and not only from a legal perspective. If insolvency is not only a sanction but also a remedy, then the legal relations subject to the insolvency proceedings should be construed in a manner that would safeguard both the economic and the social interest. The achievement of the object/purpose of the joint venture must be encouraged whenever possible. By joint venture account we mean the bank account opened in the name of the leader, in which the beneficiary deposits the amounts owed to the joint venture. Codul comercial adnotat, Editura Tribuna Craiova 1994, p. 294.